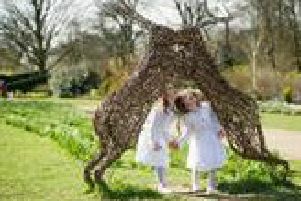 Youngsters are invited to unleash their inner eco superhero and enjoy a range of all-weather eco-friendly activities during half term at RHS Garden Harlow Carr in Harrogate (February 25-March 3). A daily garden eco-hunt trail starts on February 16. All are included free with normal garden admission, 10am–5pm (last entry 4pm).